It is the great glory as it is also the great threat of science that everything which is in principle possible can be done if the intention to do it is sufficiently resolute. Peter Medawar, "The Threat and the Glory" An international symposium on "Cell Signal Transduction, Second Messengers, and Protein Phosphorylation in Health and Disease" was held at EI Escorial (Spain) from July 5-9, 1993 as a summer course of the Complutense University in Madrid. The lectures were delivered by renowned scientists from Europe, America, and Asia and attended by a large number of young scientists and graduate students from many countries. During evolution multicellular organisms have developed the most sophisticated and heterogeneous signals to maintain in harmony their multiple functions. The latest and most controversial aspects and developments in signal transduction were the main focus of this course. The communication among participants was extremely fluid, alive, and warm. This allowed the understanding of the key steps in cellular communication, from their original and historical sources to the main present hypothesis in the borderline of the latest scientific discoveries in this field. Without any doubt, the special atmosphere of the place, the monuments and the old granite stones, the "patio" with the fountain and the rose garden were responsible for the cordial meeting. 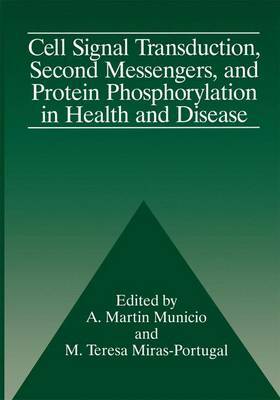 This book comprises the manuscripts of the participants and we hope it will contribute to our knowledge of cellular signal transduction and be of value to a wider scientific community.